All projects will be reviewed and all entrants will be awarded certificates. 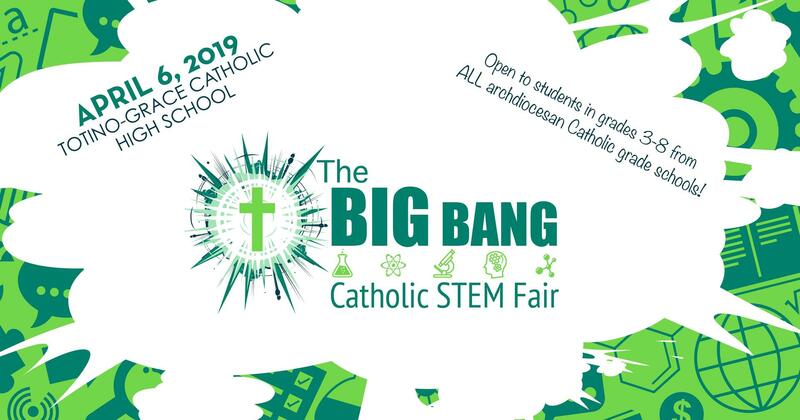 Students in 3rd - 8th grade who are interested in participating in the the Archdiocesan Big Bang STEM Fair in April will need to follow specific criteria for their project - more information will be provided if you indicate you’re interested when you sign-up. If you have any questions regarding the STEM Fair - please contact Chrissy Warford at chrissy_warford@outlook.com or 612-373-8917. Please see our Frequently Asked Questions sheet.